Zachary: "Uh oh - with a bowl that big you KNOW it's going to be something horrible." Zachary: "Hey, where did the sparkly backdrop go?" Henry: "It couldn't compete with us in our finery." Zachary: "I am soooo above this." Henry: "Just smile so we can get the Cookies." Henry: "You might be right this time." 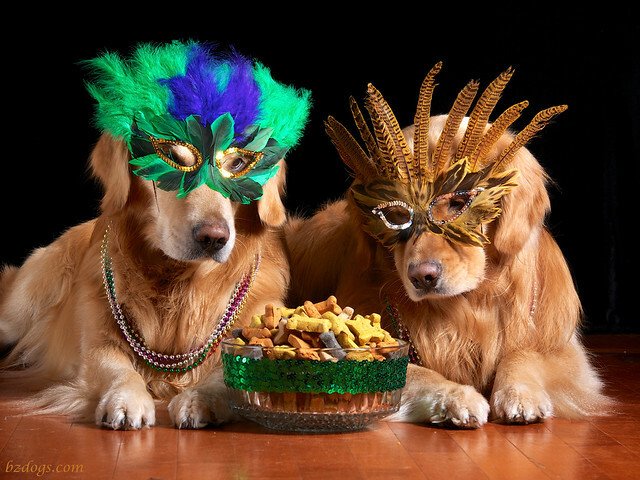 The boys needed a big bowl of Encouragement to wear their Canine Mardi Gras finery! And yes, of course they partook of many Cookies when I was done! 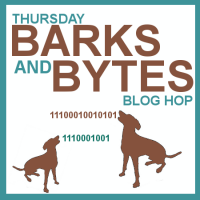 Our Daily Challenge - March 04, 2014 - "Encouragement"
Daily Dog Challenge 855. 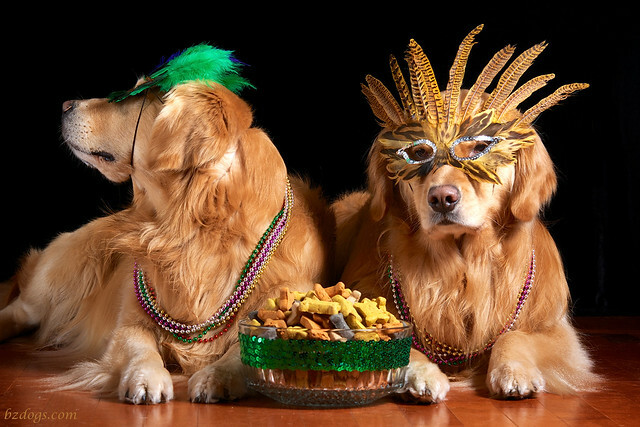 "Canine Mardi Gras"
Henry: "We better get a LOT this time." Oh, thank you for a good laugh tonight! Boys, you're heroes in my book! 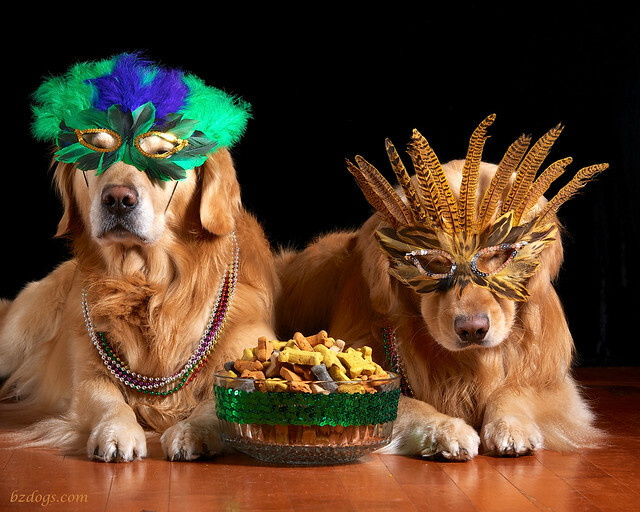 Pawesome photos, I love those mardi gras masks! 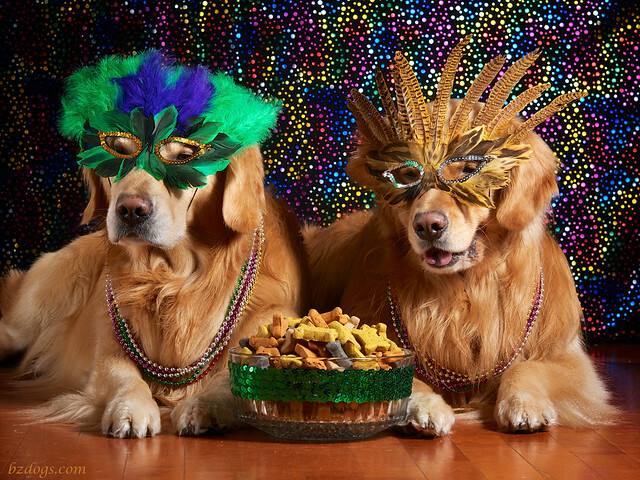 Happy Mardi Gras golden boys and we so hope you got those treats. 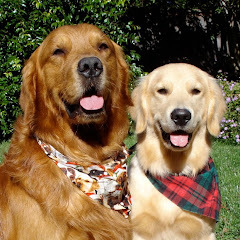 You both look fabulous. Have a wonderful Wednesday. Looking good guys... ready to party! 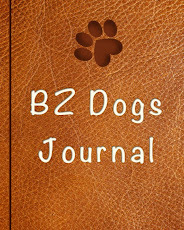 I love your pictures! 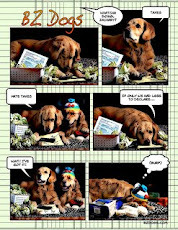 Beautiful doggies! 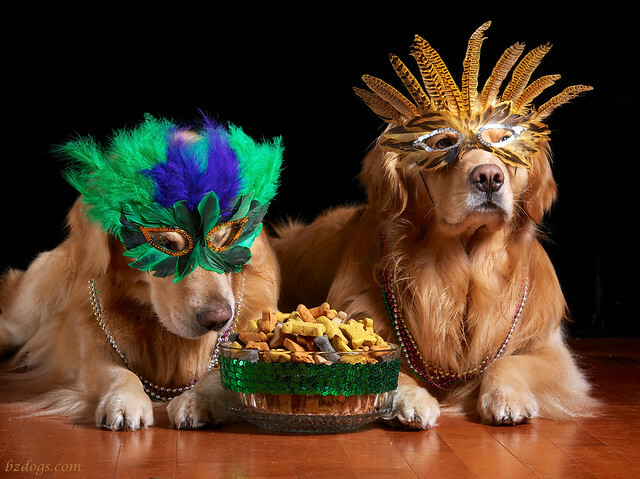 Looks like you guys had a great Mardi Gras. 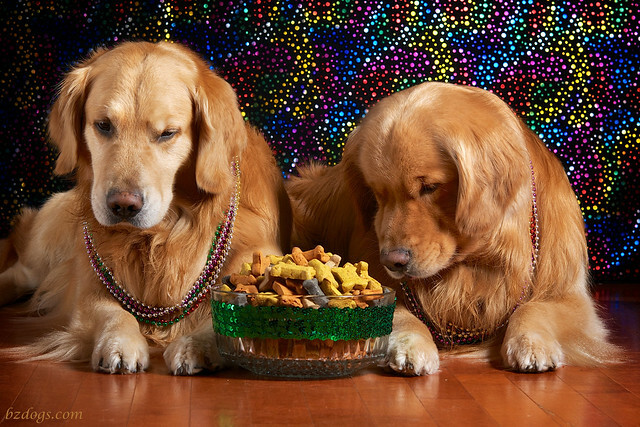 Not everyone gets such a big bowl of treats :) I love the costumes! Thank you so much for the laugh today. It's been a rough week and I really needed it! 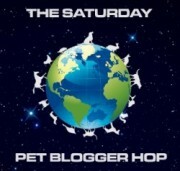 The most awesome Wordless Wednesday ever. 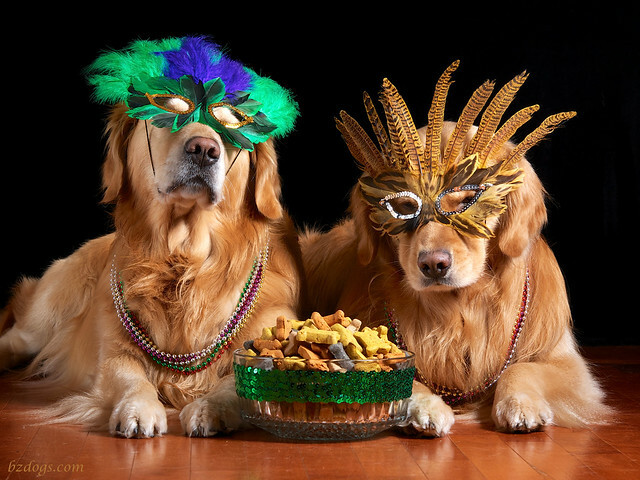 Those were pretty tame compared to some of the costumes I saw at Mardi Gras here in St. Louis, guys!